There appears to be a large amount of litigation these days - and businesses are no exception. Small businesses find themselves in unwanted litigation or in situations where they have exhausted all other alternatives and need to avail themselves of the Court system. These businesses find themselves in litigation involving: lease disputes, real estate property sale disputes, collection on unpaid invoices, contract disputes, broker disputes, personnel and employee disputes, among many others. Small businesses quickly realize that that they might spend more on the lawyers and litigation expenses than they could by just settling the case. This Catch-22 situation often brings small business to the Law Office of Frank Marciano since we can provide more efficient and cost effective legal service that is not driven by increasing legal paperwork to increase legal fees. What I have learned is that the best way to settle a lawsuit is to first establish a way to better your negotiating position and never break off communication with a legal adversary. Many cases get settled only after discovery has started, so it is useful to quickly set up a strong legal beachhead and then try to settle. With my law firm you are never faced with legal bills detailing a two minute phone call, bills for small copy costs, fax charges or postage. Most importantly, you are never faced with not being able to speak to the lawyer on your case when you need to, or having younger, just-out-of-school, lawyers "learning" litigation on your money. With Attorney Frank Marciano, you will get the direct communication and the great service that you deserve. Our clients can always reach us - by phone or email - at all times of the day. We never surprise a client with a huge bill, we clear it with the client first - with absolute sensitivity to what the litigation is costing and going to cost the client. We count on repeat business and that is earned by focusing on each matter for each client on their bottom line - not ours. 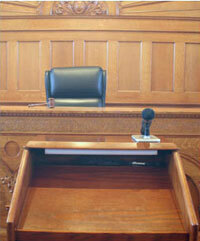 Discuss your business litigation case with Attorney Frank Marciano and see what we can do for you. After all, you're the client. To set up a consultation concerning any business litigation matter, contact us online or call us at (201) 656-1000.